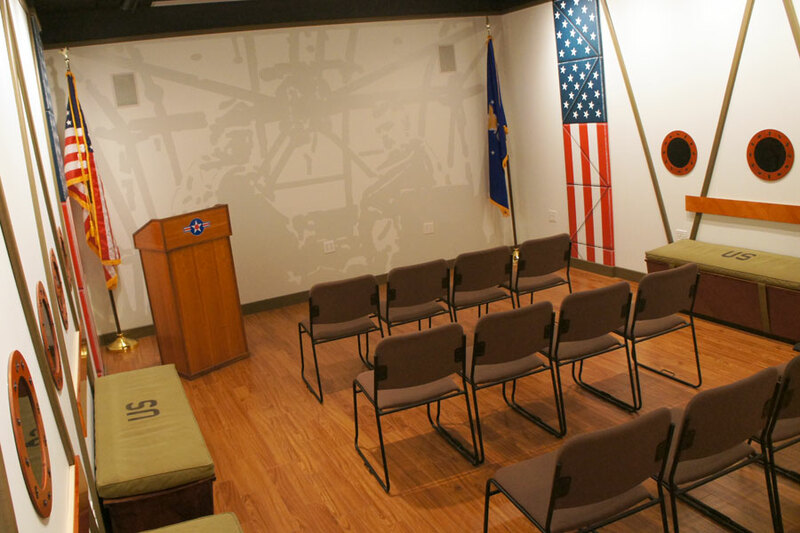 The Media Presentation Center and Conference Meeting Area are open to the public at no charge. Please contact the museum to reserve them for your meeting. The media center can seat 28 to 32 people comfortably. It has DVD, VCR, and Powerpoint presentation capabilities. With a minimum one week notice, the Media Room and/or the Conference Room may be made available for private groups for periods up to four hours for no fee. For uses longer than four hours, please contact us. 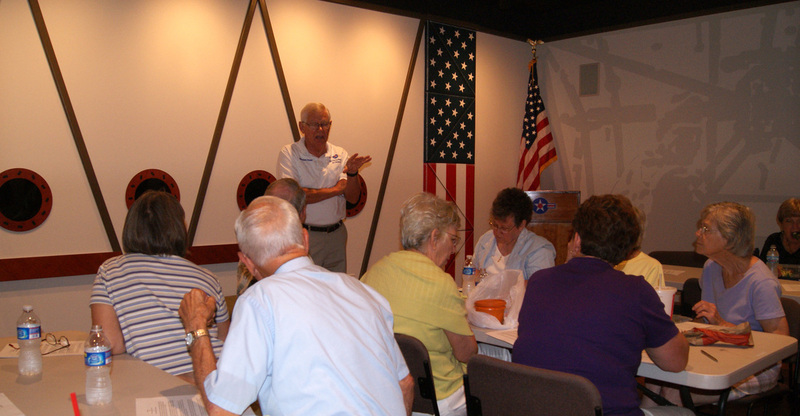 Bruce Dalton was a WWII Glider Pilot and one of the original Museum Volunteers. He passed away in 2007. Bruce worked tirelessly raising funds for museum projects and one of his dreams was the expansion of the museum. The media center is the first part of his dream. 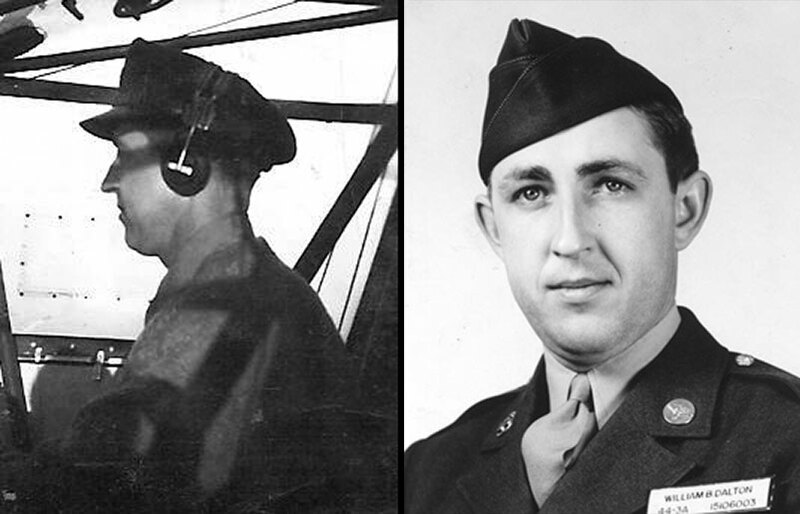 WWII photo is of Bruce Dalton at the controls of a CG4-A Glider and in uniform during WWII. The museum's media center is named in his memory. 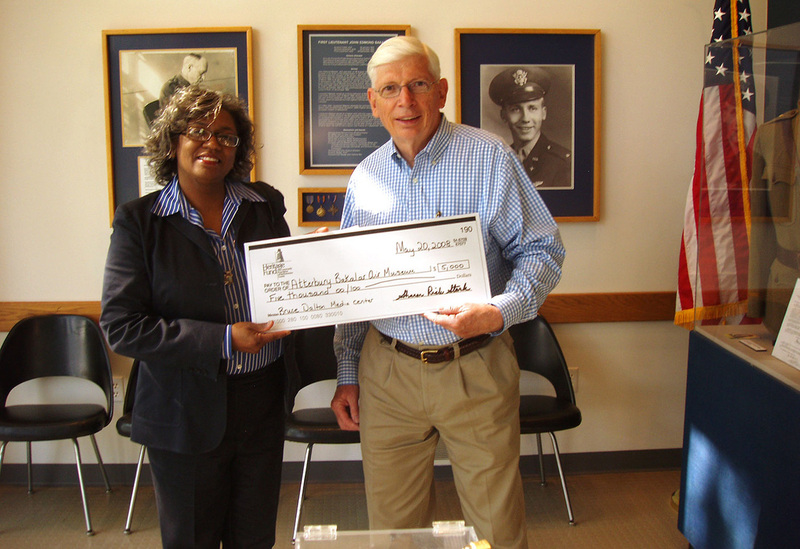 Museum Board President Gordon Lake receives a grant check from Lorraine Smith of the Heritage Fund of Columbus, to help with the media center building project. 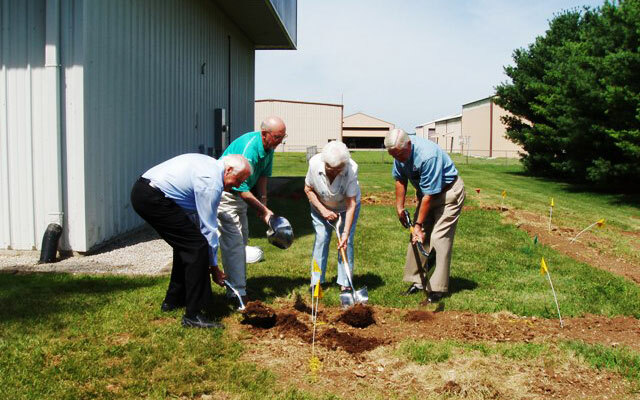 Pictured here is the July 14, 2009 groundbreaking for the museum media center addition. Pictured left to right are Hal Harlan, friend of the Dalton family and major donor, Columbus Indiana Mayor Fred Armstrong, Wanda Dalton, widow of Bruce Dalton, and Tom Vickers, museum volunteer and one of the original planners of the museum. 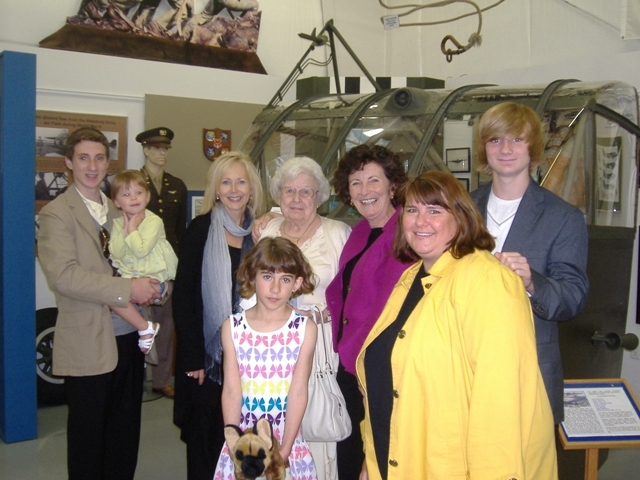 The William "Bruce" Dalton family at the museum for the media center dedication and open house event April 25, 2010. Bruce's widow, Wanda in the center of the photos surrounded by her family.